Congrats! Please email me amy(at)amytangerine(dot)com to claim your prize. Phew- what a cah-razy last few days. Training for my first half-marathon in November has been good so far. Ran 4.5 miles yesterday. Eating a mix of healthy foods and not so healthy foods like Trader Joe's chicken quesadillas. YUM. Loving that all the products are hitting stores and selling well. 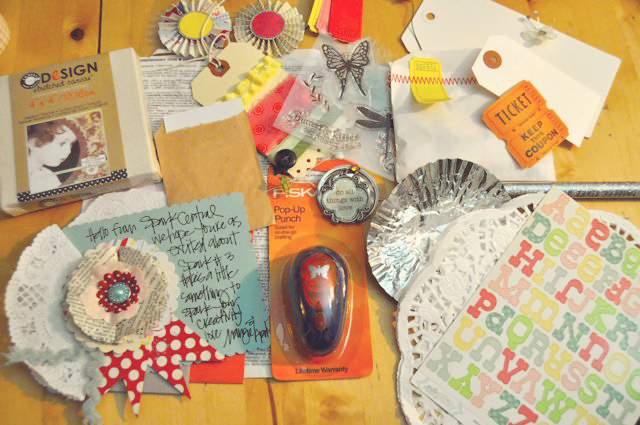 Really loving the fact that you all are coming up with some amazing projects using the American Crafts line! Working on tons of paper projects. 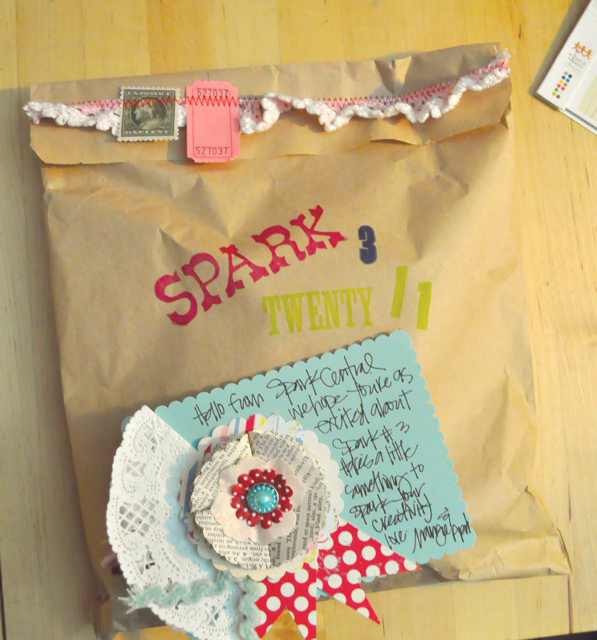 Getting fun mail, like this package from Spark 3! I was reluctant to open it, as the packaging is too cute. If you're thinking about signing up, there's a payment plan now. Can't wait for this event in October, it's going to be amazing! Making videos for the upcoming Big Picture Classes workshop - The Good Life. 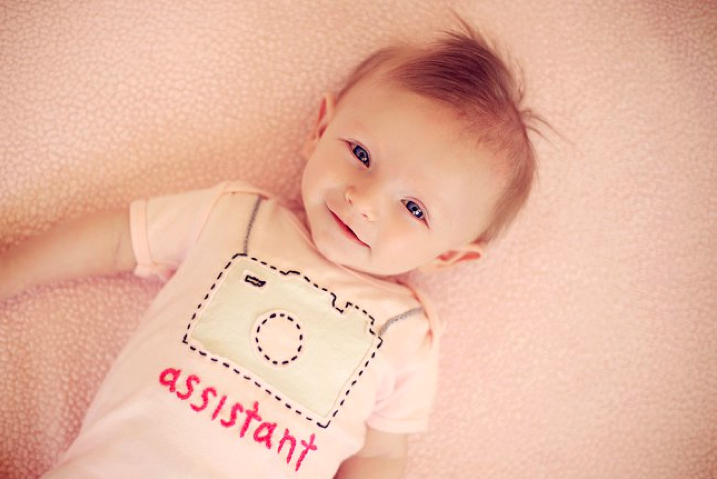 Dreaming about a magical intern/assistant. Shipping out lots of shirts - Zulily, custom & assistant tees. Looking forward to more good stuff on the horizon. Wondering if you're signed up for the FREE Big Idea Festival at BPC? The fun starts on Monday!